We were privileged to visit Til Bahadur Karki and his orphanage Joint Disabled Unity Awaz Centre in the Kathmandu Valley. Til Bahadur set up the orphanage to care for and educate children in need from around Nepal - he has overcome so many of his own obstacles in life and now looks after 42 children in the home. It was an honour and an inspiration to meet him, and we plan to offer some financial support to improve the lives of the children living there. We had a wonderful visit to Surya Jhoti School, Jugepani Village, meeting the children and seeing first hand the building work they are carrying out. We have visited this school before and it was good to meet up again with teachers and school committee members, who together with the children gave us such a warm welcome. This small rural primary school is set in the hills above Danda and serves three villages, enabling the youngest children to attend school. Welcome to the website of the UK charity, Children of Nepal, which builds classrooms, provides clean water facilities and installs sanitation at government schools, to extend and improve educational opportunities for children in rural central Nepal. 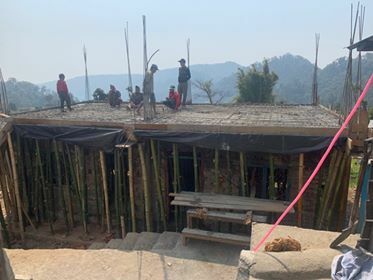 With your help, we have continued to work with schools in the Nawal Parasi district in central Nepal to help them with classroom building projects. These short videos give an insight into our visits to these schools in December 2017 and December 2015. We hope you enjoy them! 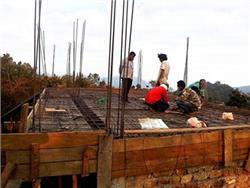 Please see the 'Newsletter' tab above for previous editions of our newsletter and the 'Photos' tab for further photos of our projects in Nepal.